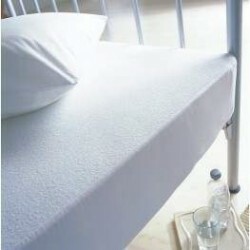 Emperor mattresses are fast becoming one of the most popular bed sizes. Victoria Linen make mattress protectors for 6'6" and 7' beds that are the perfect protective barrier. Our TENCEL protectors are waterproof and anti allergenic whilst also being brethable, allowing air flow and promoting a comfortable nights sleep. Samples are available, to receive these please call 01706 220020 or email us with your details.